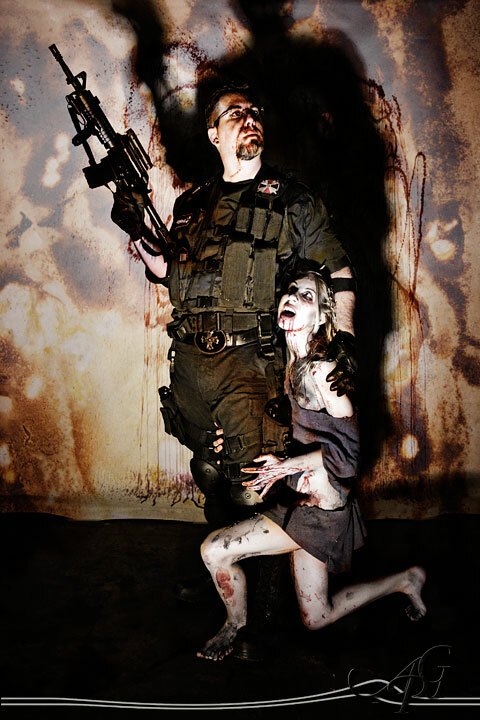 July 24 Open House - Zombie Apocalypse Night! - with EVENT PHOTOS! It's on!! The end of civilization as we know it, and only a few survivors remain, trying to stay a step ahead of the zombie horde! 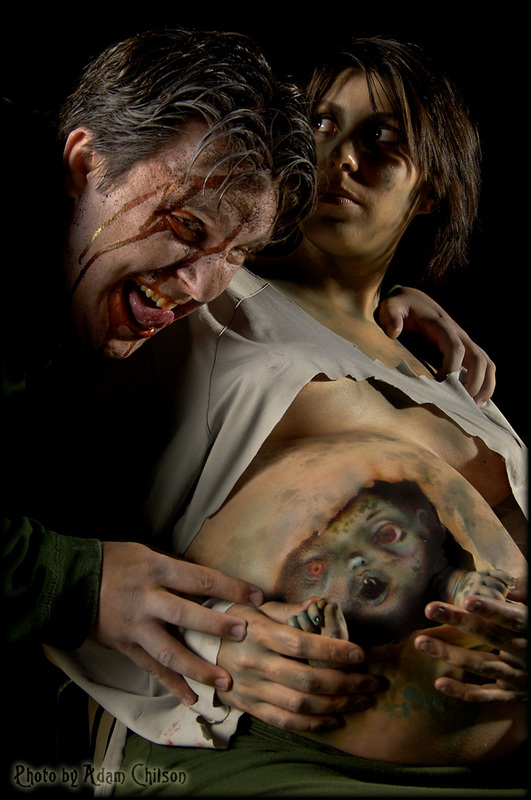 Please join us for our July 24th Studio Open House event, with a theme of "Zombie Apocalypse Night!" 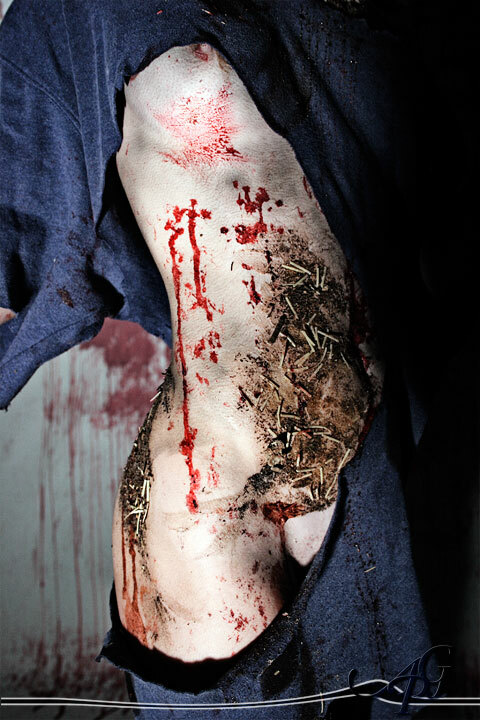 Come as a zombie, a zombie survivalist, or be prepared to be transformed into a shambling, decaying hulk by Lisa Berczel and our master of gore, Andrew Gettler! It's almost certain that at least one photo shoot will ensue. And of course we will continue our regular mix of studio tours, social time, casual shooting, and meet & greet throughout the studio and back lot. Open House event information is here: http://www.starkravenmusic.com/openhouse.html. RSVP's for studio first timers are due to studio@dm-gremlin.com by 6pm on Wed. June 24th. Please include number of people who will be attending. I took some footage of this event you can see here http://electrikpinkpirate.deviantart.com/art/Zombie-Photo-Shoot-130907 079 ^___^ Haha it's not that great (due to my crapola camera) but we've got a lot of fun shots of the models and photographers in action, woot! hi, I only needed a day of rest afterward which was always common anyway L()L Happy I made it and learned that long as I do a bit at a time I can get some things accomplished. anyway here are a few that I took. Re: July 24 Open House - Zombie Apocalypse Night! - WITH EVENT PHOTOS! 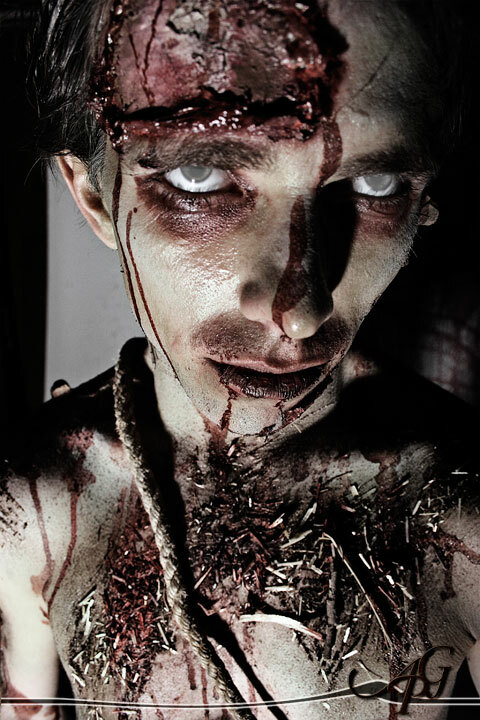 Zombie makeup and effects by Battledress and Littlegett.